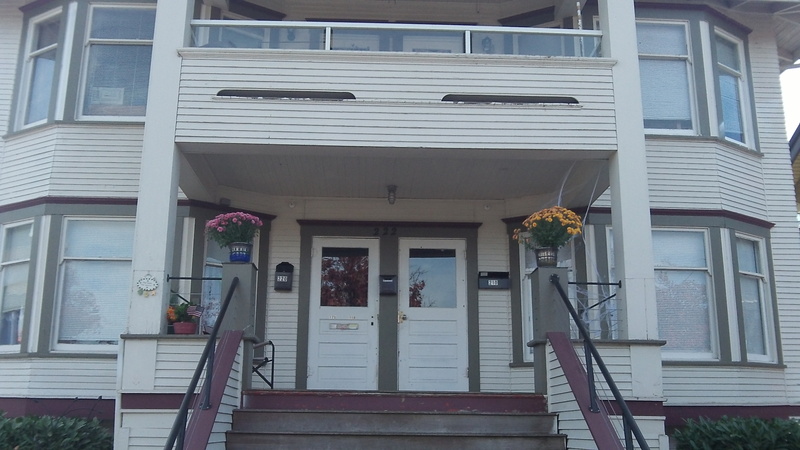 The front of the former Labor Temple, of which the city of Albany now is the owner. Years ago Albany’s urban renewal program agreed to help prospective developers turn a former union headquarters downtown into apartments. 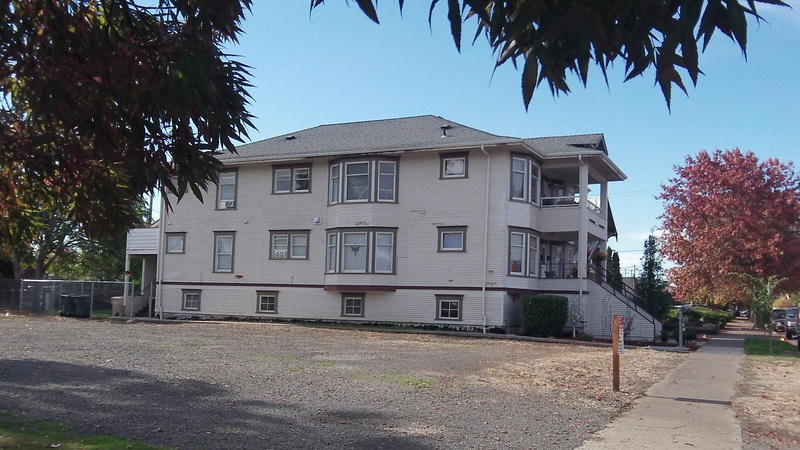 The goal of four remodeled apartments was achieved, but city loans were not repaid, and as a result the city now owns what everybody still calls the Labor Temple at 222 Third Ave. S.E. The city council learned of the development Wednesday night from Assistant City Attorney Sean Kidd. The council was meeting as the governing board of the Albany Revitalization Agency, which runs the Central Albany Revitalization Area or CARA. In a previous meeting, held as an executive session closed to the public, Kidd had briefed the board on the nonpayment of loans to support the project and what he was doing about it. On Wednesday, in open session, Councilor Ray Kopczynski asked for an update, and Kidd said the city now owns the building even though a deed to that effect had not yet been recorded. He told me the urban renewal program had been owed $355,000, not counting interest or late fees. In 2011, CARA agreed to lend Albany Redevelopment LLC $120,000 to complete the apartment project, stalled at the time. The principals in the LLC were Randy Rosenblatt of Portland and Don Ward of Oregon City. A few months later, in October 2011, when the building’s rehab was nearly done, CARA approved an additional $235,000 loan to pay off a lien on the property and safeguard its original $120,000 loan. While the details are complicated, together those sums appear to make up the $355,000 the city said it was still owed. Before about 2010, CARA had lent a different would-be developer $250,000 toward the Labor Temple project, but he didn’t finish and the money was lost. In the current case, the city presumably can recover some or all the money it put into the project by selling the building. 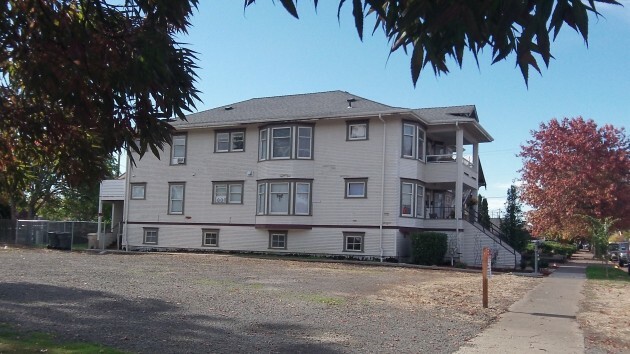 Taking the long view: The Labor Temple project resulted in four apartments, as intended. Hasso, can you provide a bottom line loss number? I see you included the 2011 amounts of $120K plus $235K of loans that defaulted. But wasn’t the original 2008 money also lost? Of course, this will be offset by whatever the city can sell the property for, which I believe was appraised at $375,000. Read it again and closer Gordon. $250,000 was lost on the original developer. Albany Redevelopment got a total of $355,000, which is secured by the property that the city owns. The actual cash value of that property will only be known if it’s put up for sale. Presumably the city will have to decide where to sell it, go into the landlord business, or contract out the operation and management of the property. Can they get back that original $250,000 they lost? Way too soon to tell or speculate on. Woods, I read Hasso’s wording and reviewed the CARA minutes from 2008 – 2011. Albany Redevelopment LLC was the second deadbeat approved by CARA and took the city for a total of $355,000. The first deadbeat developer approved by CARA took $120,000 of grant money in addition to taking the city for the $250,000 loan that Hasso refers to. The grant money is just as gone as the loan money, right? And who is on the hook for the private bank loans? The city wasn’t in the first lien position, but now takes title. Is the city on the hook for the first lien holder’s loss? It would be nice if the city would provide a full, transparent accounting of the total loss, including all transaction costs. And it would be nice if the city informed us of the appraised value. That way we can have some idea how much may be recouped. I’m looking for answers, Woods. It appears Hasso doesn’t have them, and you clearly don’t have them, so who does? I’ll be patient and look forward to you reporting the whole story. But you’d think the city would be more proactive in releasing the numbers and staying one step ahead of you. Instead, we get the Mayor putting more lipstick on the pig. So Gordon, you’re wearing that lipstick again? Looks great. Not sure about Albany, but the news lately has been talking about apartment shortages and rapidly escalating rental rates in Portland. Apartments.com shows 50 apartments available in Albany (they certainly may not have them all), with rents going for $600 for a 1 bedroom to over $1,000 for 3 bedroom. Lepman Properties has several available, all at $650 or higher. Maybe Scott Lepman would like to add to his holdings, but I would not be surprised if several possible buyers come forward if the demand is there. And if there is demand, the sales price could be pretty good. It would be helpful to know the bedroom count and square footage of each of the four apartments in order to make a market estimate of the probable rents and, therefore, the market value of the building and property. Hopefully the city and the council communicate the lessons learned from this fiasco. Hopefully the city and the council communicate the changes they will make that will lead to a better outcome on future projects. Successful people and organizations do this routinely. And it’s why the city, and CARA, have been so outstanding successful. Remember that last bond sold Mr. Government Hater? The free market paid MORE than the asking price because of the reputation and operations of the City of Albany. I watched this project for years from my front porch. As best I could tell the work was of good quality. What I don’t understand is why would the Portland group would let this property go for 335K, they were not on the hook for any previous grants or loans or were they?